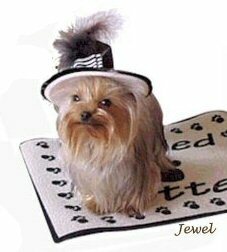 You have reached the site of Doug and Julie Davis, breeders of Yorkshire Terriers for over thirty years. Our sweet mom's and dad's produced their last litter Christmas 2012. At that time we had five happy healthy, and still young mummas and pappas who we love dearly. They are full of love an affection. They are entertaining and wonderful companions. If you are looking for a small dog to love and one that will love you back, we highly recommend a Yorkie. Are you looking for a yorkie? Sorry, we are now retired. We do not have any puppies. 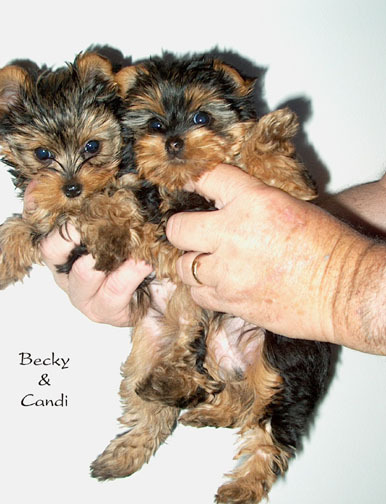 Contact the Canadian Yorkshire Terrier Association and ask for contact info for the yorkie breeders in your area.